2019-03-20 – Spring is in the air and for millions of people around the world including Iran, it marks the beginning of a new year. The ancient festival of Nowruz (“new day”) is celebrated at the end of winter with festivities symbolizing rebirth, renewal and the possibility of new beginnings. Many Iranians will ring in the new year with family get-togethers, delicious food and picnics. But for Iran’s political prisoners, this time of year is particularly painful. 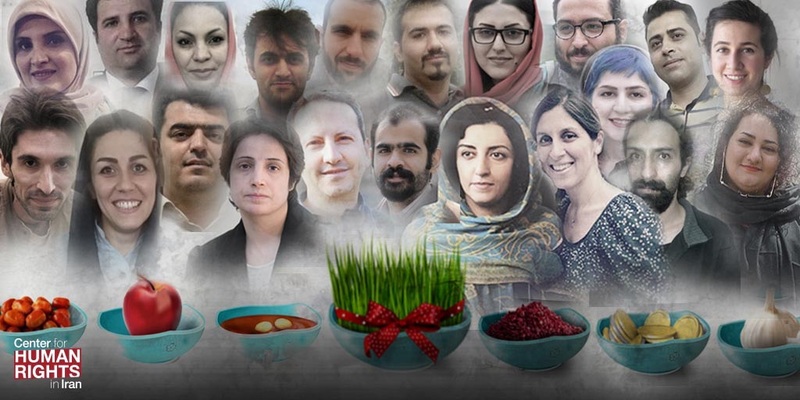 Separated from their loved ones and serving long jail terms for peaceful actions, Nowruz, which is marked in Iran with flowers and sweets, can be so bitter. Iran’s judiciary and security forces believe jail cells can silence these individuals but we won’t let them. Following are excerpts of some of their letters we’ve translated over the years. These courageous women and men are in prison for defending human rights, and we will never stop advocating for their freedom. Let us hope that this new year will bring justice for Iran’s political prisoners so they can celebrate next Nowruz with their families.